North-west Russia still preserves vast areas of relatively undisturbed nature large enough to maintain natural processes and ecosystems. This is a unique reserve of biological diversity for the rest of northern Europe and its conservation requires a well-developed and functional ecological network and application of ecosystem-based approaches in development. The Programme�s main goals are in supporting protected areas, incorporating various forms of spatial protection into the regional context and intensifying international co-operation in building up ecological networks. The Programme comprises projects focusing on inventories and monitoring of rare and commercially valuable species, on the development of species and habitat conservation approaches, on improvement of PA management practices. Populations of the white-tailed sea eagle and brown bear were assessed in the region collaboratively with WWF. 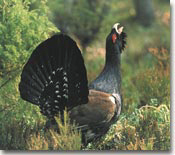 The woodcock status was analysed in co-operation with the French National Game Department. BFN field groups are studying the floral and faunal diversity of the Pskov and Leningrad regions, compiling Red Data Books and Red lists. The project �Towards sustainable development of the Sebezhsky National Park� was implemented in 1999-2001. A new project �Protected Areas Networking in North-west Russia� has been implemented since 2002 as a partnership with the Association of Zapovedniks and National Parks of North-west Russia and the Danish company Nordeco is supported by the Danish Environmental Protection Agency. The project objective is to strengthen and further develop practical co-operation between zapovedniks and national parks in the region. The Programme�s main perspective is in further widening practical partnership networks of organisations in developing and implementing regional nature conservation approaches in North-west Russia. Lake Ladoga is a unique natural object and the largest freshwater lake of Europe. Almost all water flowing into the Gulf of Finland through the Neva river (74 000 106 m3 annually) comes from Ladoga thus making the lake responsible for about one fourth of the total runoff to the Baltic. The flora and fauna of the Ladoga region is rich and diverse due to geological peculiarities, geographical location and specific history of the area. At the same time, environmental problems caused by long-term anthropogenic pressure are also notorious. From the very beginning, BFN has considered preservation of the Ladoga lake biological diversity and promotion of sustainable development in the region as its priority tasks. The Programme was established on the basis of the Feasibility study of the Ladoga catchment area � the project implemented in 1999 in co-operation with WWF Denmark. BFN�s Ladoga programme consists of a set of environmental projects mainly directed towards rural development around the Great Lake of Europe. The endemic Ladoga seal has been studied and monitored since 1998, and this work is now supported by Metsähallitus and Finnish Game and Fishery Research Institute. 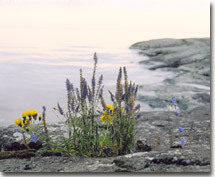 A number of projects were launched in 1999 in partnership with WWF Sweden in the Olonets district of Republic of Karelia. These projects aim to preserve Europe�s largest spring migration staging ground for geese and thus to promote sustainable agricultural practices on the Olonets plane � the most important agricultural area in Karelia. Simultaneously, BFN co-ordinated the Nizhnesvirsky component of the Russian-Danish project �Contribution towards a sustainable Russia. Integrating protected areas in a regional context�, where a model of environmental education and ecotourism as an alternative natural resource use approach was tested on the basis of the zapovednik (strict nature reserve). Since 2003, the TACIS project �Big Lakes Ladoga and Päijänne - using natural and cultural heritage as a boost of sustainable development� has been implemented in co-operation with the municipality of Sysmä (Finland), administration of the Lodejnoe Pole district of the Leningrad region and the Committee for Youth Affairs, Tourism and Sports of the Leningrad Region Government. 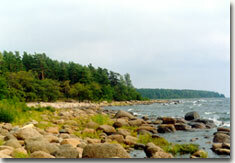 The Project�s main goal is to promote ecotourism in southern Ladoga area and in the whole of the Leningrad region. The Baltic Sea is a unique and fragile water body. The Baltic region is home to over 90 million people. Concerted international effort is essential to maintain its stability and preserve the nature of the Baltic region. The BFN�s Marine programme is a natural part of the Baltic-wide activities performed by the World Wide Fund for Nature (WWF) and the Coastal Union (EUCC). Among these, projects aimed at studying and preserving the grey and ringed seals have been implemented since 1993 together with WWF and the Finnish Game and Fisheries Research Institute. Wild salmon populations were assessed and spawning rivers restored in co-operation with the Coalition Clean Baltic (CCB). Within the EU LIFE programme, a number of land and water areas in the Russian part of the Baltic were nominated to be included into the Baltic Sea Protected Area Network (BSPA) to assist Russia in fulfilling its obligations under HELCOM. BFN actively participates in the development and implementation of the WWF Baltic programme as an official partner. A special component of the Marine Programme is devoted to adapting Integrated Coastal Zone Management (ICZM) principles to Russia. Dutch PIN MATRA pilot project was implemented together with the Coastal Union (EUCC) in the Kingisepp district of the Leningrad region. The Programme�s experts have participated in monitoring programmes in the Gulf of Finland. Internet training modules are developed within the projects supported by the Foreign Ministry of the Netherlands and the TACIS Institution Building Partnership Programme. These projects aim to adapt ICZM Internet training facilities to the demands of Russian users. The main objective of the Programme is to develop and widen international co-operation and implementation of Baltic-wide initiatives in the Russian part of the region. Success of nature conservation efforts largely depends on the overall environmental culture and awareness of people. BFN�s priority in this sphere is to create and maintain environmental education tools for teachers thus addressing schoolchildren. The main activities are implemented within the framework of the international educational project NatureWatch Baltic, initiated and headed by WWF Sweden. The main task of the project is to involve teachers and schoolchildren in regular assessments of natural sites: marine coasts (Coastwatch), lakes and streams (Lake&Streamwatch), forests (Forestwatch) and parks and gardens (Watch-21). Such assessments, performed by standard methods through filling in special questionnaires, allow to make inventories of the site biological diversity, to control pollution levels and to evaluate the extent to which current natural resource use complies with the principles of sustainable development. In practice, this is a form of environmental monitoring performed by teachers and their pupils. Exploring nature, schoolchildren are widening the scope of their environmental knowledge and employing data from various school subjects. Results are compiled and published in the Annual Report while the most active participants take part in International Environmental Camps. 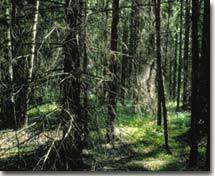 The Russian Baltic-Ladoga component of NatureWatch Baltic is implemented by BFN. Initiated in 1995, the Programme has gained wide interest among schoolteachers and kids and now unites over 300 schools from St. Petersburg, Leningrad, Pskov and Novgorod regions and Republic of Karelia. The Programme activities include various training seminars for schoolteachers throughout the year. Regional annual conferences where results are compiled and discussed and where the best groups are encouraged have become a tradition. �NatureWatch Baltic Library� is an increasing set of manuals and guidebooks to help teachers and schoolchildren. One of the main achievements of the Programme is a wide network of friends and partners � enthusiasts of environmental education who now have the possibility to work together, to exchange experiences and ideas all around the Baltic sea.